The Royal Canadian Mint has launched (June 9) one of the most innovative coins of the year; Canada’s Maple Leaf symbol has been merged with a functioning maze, complete with path and ball that, when tilted, can travel from the outer circle of the maze to the center. Devised from a series of four “C”s strategically arranged, the coin allows its handler to move the small rolling ball through the pathways and into the center. As a species, we human beings have always been a curious entity, in need of both mind stimulation and entertainment, and puzzles have long fulfilled this desire. In use since the early Greek civilizations of the 5th century B.C., it is has been suggested that the puzzle concept spans as far back as Neolithic times. The idea of a maze was borrowed from the ancient Egyptians who incorporated labyrinths as a measure of security for the monuments and pyramids dedicated to pharaohs who had passed into the hereafter. One of the best-known Greek myths is Theseus and The Minotaur, in which Theseus becomes a Greek hero by navigating a maze and defeating the creature. From there the idea spread and puzzles have since been widely used around the world, including in the architecture of early Christian churches and the lavish gardens at the Palace of Versailles in France. 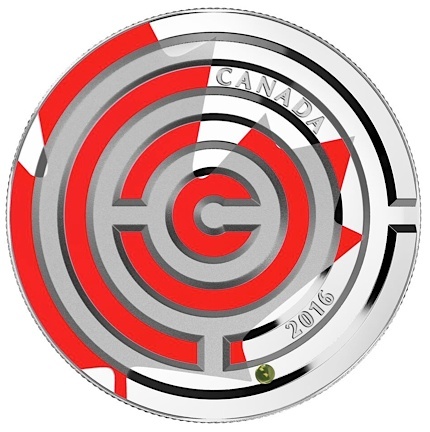 The coin is struck in fine silver and combines a vibrantly colored Canadian icon with the fun and challenge of a functioning puzzle that tests your patience and skill to see how fast you can get the ball into the bull’s eye. 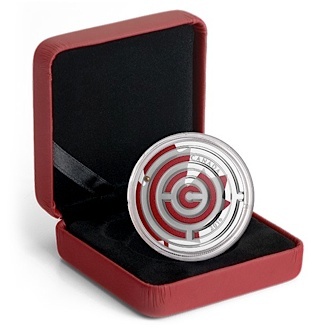 The reverse design brings together the use of color and precision engraving to create a one-of-a-kind numismatic maze. A small brass ball rolls freely along the engraved circular pathway that forms the maze, while multiple paths provide the challenge of getting the ball to the bull’s eye in the centre of the reverse. In the background is a partial view of a Canadian icon recognized worldwide: the red maple leaf that adorns Canada’s national flag. The reverse includes the engraved word CANADA and the year 2016. 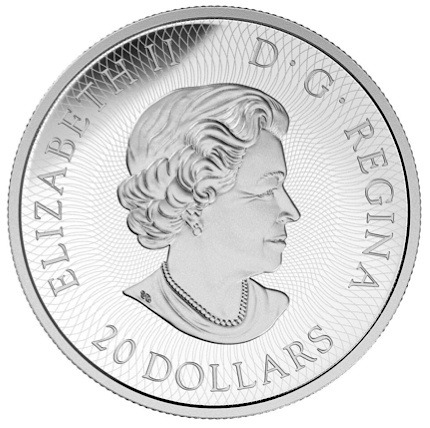 The obverse features the face value 20 DOLLARS and the effigy of Her Majesty Queen Elizabeth II by Susanna Blunt. The Royal Canadian Mint are now taking pre-orders for the coin, which will be released on August 12. The coin is encapsulated in a clear Perspex container for ease of use. Due to its expected popularity, the RCM are limiting the coin’s availability for dispatch to Canada and the US. For more information on this and other coins offered by the RCM, please visit their Web site.